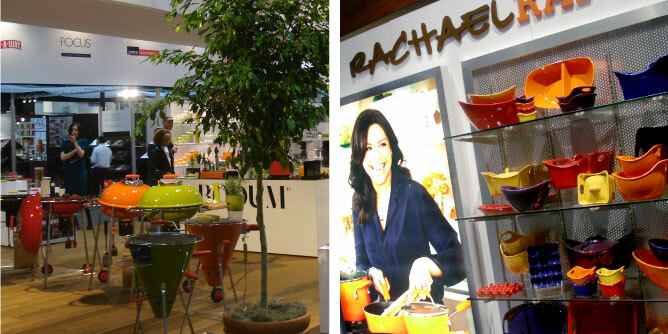 When the team from LPK Product visited Chicago, Illinois for the 2011 International Housewares Association Show, they were braced for an overwhelming bastion of artifacts. The variety and repetition at the show was staggering, but emerging through the fog of nuanced color and material shifts was several brands who recognize their audience as participants in an experience and not solely consumers of commodity goods. Each year, the International Housewares Association (IHA) show feels like a repetitive sea of simple and useful items that all function similarly well. Often, the products rely on material and subtle ergonomic tweaks as their prime points of differentiation, which don’t always reach consumers’ higher needs or lend to greater brand expressions. It’s easy to get bogged down by the sheer volume of items and to get lost in the monotony, but there are always a handful of promising standouts and a few discernible, overarching trends. The show’s more promising brands were framing new, inspirational experiences, connecting with their audience in ways that color shifts alone cannot. These brands are providing consumers tools that provoke feelings of empowerment. Rachael Ray, Paula Deen and Emeril Lagasse were a few of the celebrity chefs whose latest product lines paint an experiential picture and promise consumers the quality of the culinary masters. Other brands looking to tap into unique and fresh experiences were Prepara and Zoku. Prepara’s “Chef Performance Tools” help to bring fun into the kitchen with their “Volcano Pops” and “Super Scoopers,” while Zoku’s award-winning “Quick Pop Maker” plays off of recent trends in healthy food prep and DIY solutions to open new, whimsical avenues for family interaction. As in years past, sustainability-conscious items had a presence on the show floor. A handful of brands were pushing through the “eco-friendly” lip service of slogans and delivering on a sustainable promise with products that offer longer-lasting or permanent solutions, such as concentrated chemistries, reusable drink vessels and steam cleaning. Replenish combined the power of concentrated chemistries with permanent containers to provide a longer-lasting and responsible household cleaning solution. Many other brands followed suit, with focused messaging around “responsibility” and “wellness,” promoting ideas that enable consumers to better care for themselves, their families and the environment. 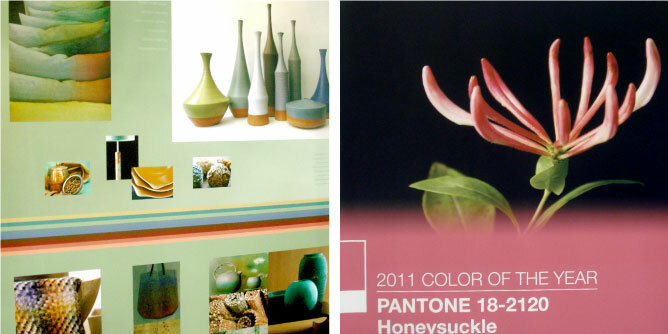 Signs of the “responsibility” and “wellness” themes could even be seen throughout Pantone’s 2012 Color Watch exhibit. Each year, Pantone presents a spectrum of mature and inspiring color palettes. This year’s forecast was predominantly grounded in natural earth hues, “grown up” in appearance and less quirky than previous lineups. The standout brands at IHA demonstrated their ability to empathize with consumers with offerings that were direct and emotionally charged. These brands relentlessly ask the question “Why?” and embrace the stories behind their products, creating resonance with their audiences and differentiating themselves from the competition.